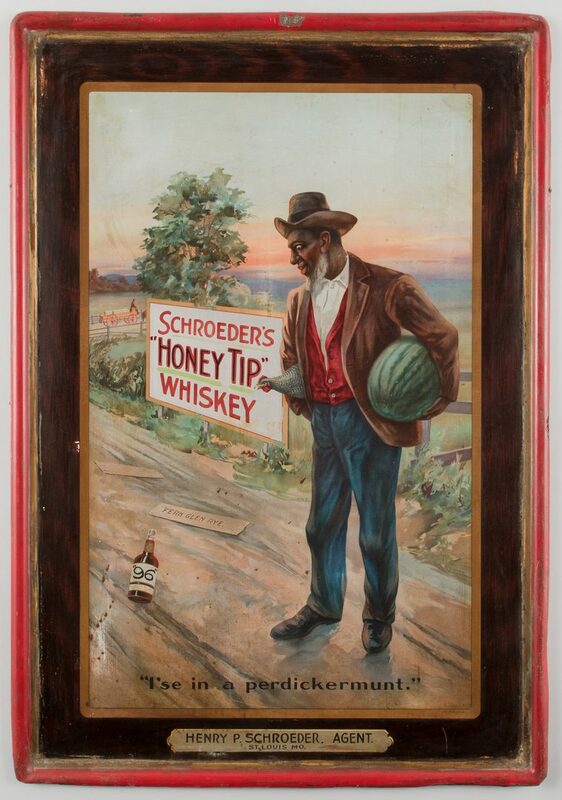 Black Americana sign advertising Schroeder's Honey Tip Whiskey, lithography on tin, rectangular form, self framed. 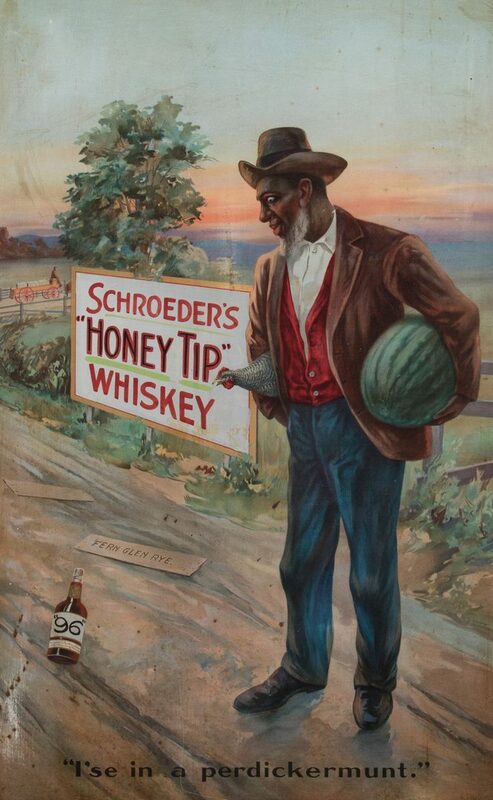 Depicts an African American man on a country road, gazing down at a whiskey bottle. 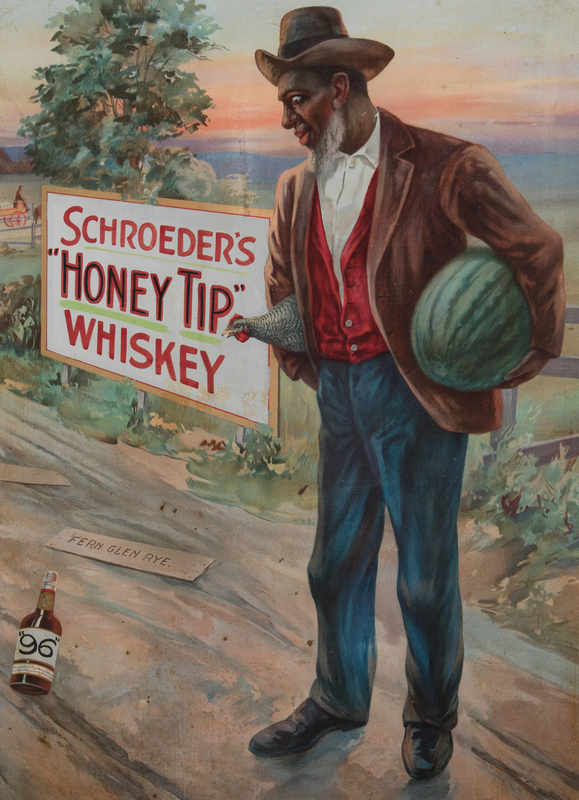 Sign behind him reads "Schroeder's 'Honey Tip' Whiskey" while a piece of board on the road reads "Fern Glen Rye". 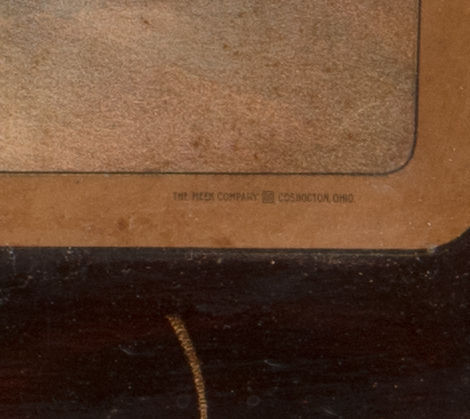 Made by Meek Company, Coshocton, Ohio for Henry P. Schroeder, Agent, St. Louis. MO. Image – 26" H x 16 1/2" W. Framed – 33" H x 22 7/8" W. American, early 20th century. 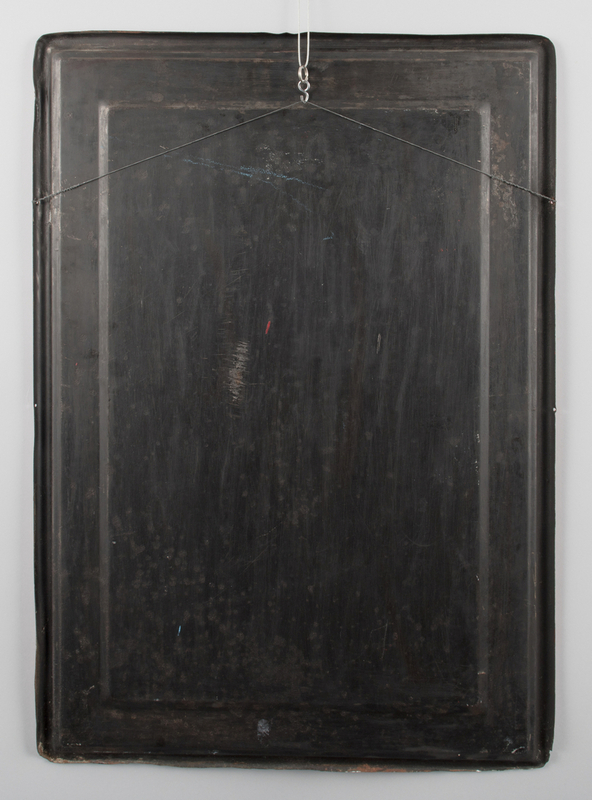 CONDITION: Overall good condition with some staining, rust spots, scratches, and abrasions to surface and frame of sign.